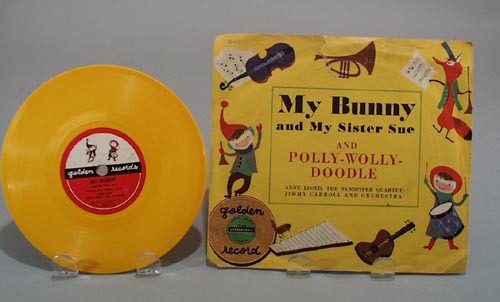 1953 Golden record Polly Wolly Doodle and My Bunny and sister sue # R137, Anne Lloyd with Jimmy Carroll and Orchestra. Light wear, cover has a rip, otherwise minor wear. 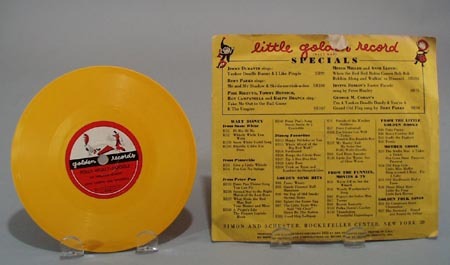 Record is 6""
Items Similar To "1953 Golden record Polly Wolly Doodle"